Purchasing Training – Are You Doing Spends Cube Analysis? Are You Doing Spends Cube Analysis? I just finished leading a ½ day face to face seminar for the 50 Chief Purchasing Officers of the United States. These were the highest purchasing officers in each state in our country. Just state and local spending in the US is $3.2 Trillion. What these folks manage is more than any other country in the world! Yes, this organization had a lot of firepower, and my messages really resonated with them. But there’s still so much more we can do in purchasing, across the board. One area I spent a good amount of time on with them is the idea of a spends cube. 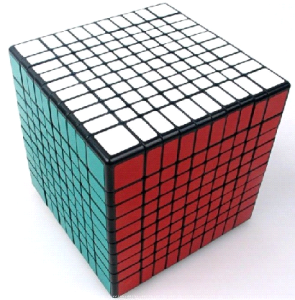 Take a look at the cube below, note that it is 3D – meaning, it has 3 axes. The 3 axes represent Commodity (What you are buying), Cost Center (Who you are buying it for), and Supplier (Who are we buying it from). These are the 3 legs of the stool – if any one leg is not there, the entire model falls apart. If your company is in any ways not aggregating, analyzing, and commodity managing 100% of expenditures across all locations, business units, and divisions, then you need to be doing spends cube analysis. This can be pretty difficult with some computer systems, but it’s really not optional if you want to be a world class purchasing professional. And this is not limited to the private sector by the way; the public sector should be doing this as well. Let’s go through why each axis of this cube contributes critical information to the big picture. Commodity analysis tells what specific types of goods and services you are buying in the aggregate. Without this information, it’s impossible to start driving commodity level analysis. You can’t aggregate like purchases under a commodity or category management structure unless you know what the demand data is. Cost center analysis tells you which internal business groups or individual customers (end users) are the ones driving the demand. You need to get early engagement with these groups. Once you also get expenditure volume, then you’ll be able to sort and start with the biggest spenders. Supplier analysis tells you which suppliers are getting the money today. This is important because you might find the expenditures highly spread out instead of aggregated, or you might find out that many vendors have multiple concurrent contracts in place with your company. Why would a vendor go through the hassle of putting many “mini-contracts” in place with one company? The answer is simple: that way, they can divide and conquer and give “mini-discounts” for each individual contract. Their biggest fear is someone smart from purchasing comes along and puts an end to this nonsense. Once you’ve got this data together, you can move mountains. Now you can set your strategies. You can slice and dice data to analyze it from many different directions. You can make sure that you have ONE sourcing strategy and not hundreds of sourcing strategies, which is the same thing as not having one at all. Now you can start deciding which high spending end users to align with, which suppliers you want to target for aggregation of spends and renegotiation, and how you can funnel these expenditures through a global corporate commodity management structure. How many suppliers are we receiving BMS from? What locations or divisions are working with which BMS suppliers? How much are we spending in aggregate on BMS? Which customers are spending this money, ranked in order of largest to smallest? Which suppliers are receiving this money, ranked in order of largest to smallest? What is the geographic distribution of BMS spends? And that’s just the beginning! You can and should keep manipulating the data until you have enough information to create a very robust Commodity Expenditure Plan (CEP). You should be doing a major run through of this (CEP) at least annually, with some minor spot checks on the data once a quarter. However, you should be referencing it weekly! Don’t let yourself be caught up in administrivia. Don’t let yourself become irrelevant. Knowledge is power, but knowledge is useless with DATA in our profession. Don’t sit around waiting for something take your time each day. Grab the bull by the horns. Do the Cube Spends analysis and then do your planning. For the rest of the year, execute to that CEP planning roadmap, and enjoy the results. Next post: Purchasing Training – Are You Tracking Market Prices for What You Purchase?